I’m liking pinots quite a bit lately. 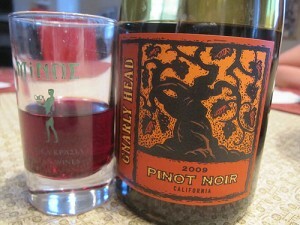 Here’s a nice and inexpensive one called Gnarly Head, from California. This is a very tasty wine which goes down easy and has a very refreshing taste.